If work is removed from a portfolio, then the original file will still be in the assignment folder. 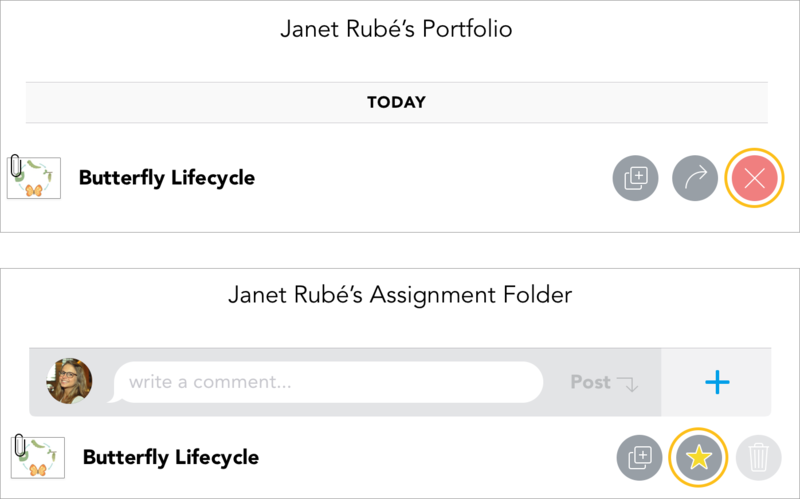 Students can only remove work from their own portfolios if they themselves added the item. To remove work, you can swipe left on the file while in the portfolio and then tap on the red X. You can also remove items from the assignment folder. Swipe left on the file and tap on the star icon instead to remove it.